All of us who are exposed to statistics have heard of regression towards mean. We know how Sir Galton was trying to explain the height of a child from parent’s height. Sir Galton found that next observation – height of progeny- is always more likely to move towards the mean height of the population. So, if you are way taller than most of the people around you, it’s more likely that your kid is going to be shorter than you. Based on Sir Galton’s finding, if you are, say 1 feet taller than mean height of population, your kid is most likely going to be 8 inch taller than average height. 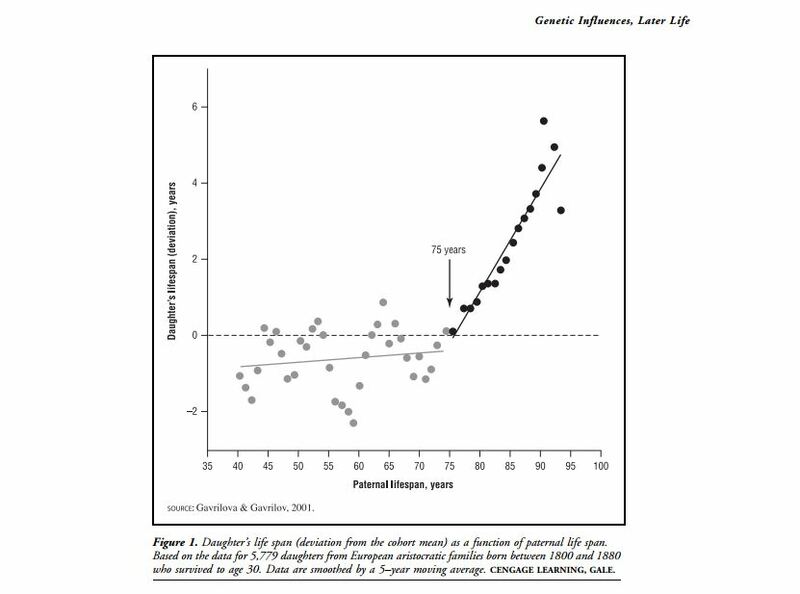 Interesting, we have some study done on life expectancy of a progeny as a factor of parents life span as well. Gavrilov’s at the university of chicago has done lot of studies on life expectancy. Our life span could be dependent on both genetic as well as environmental factor. He was trying to understand the interplay of both. Here’s what they found. It looks like up to age 70 environment seems to play major factor, but after the tipping point of 70 years, parents life span seems to be a good predictor of child’s life expectancy.